We make our outdoor gear and apparel in Maine, across the US and around the globe. No matter where an L.L.Bean product is made, you can be assured that it was manufactured under legal, safe and fair working conditions. Because we believe every worker – and every person – deserves respect. Our most iconic products are made right here at home. 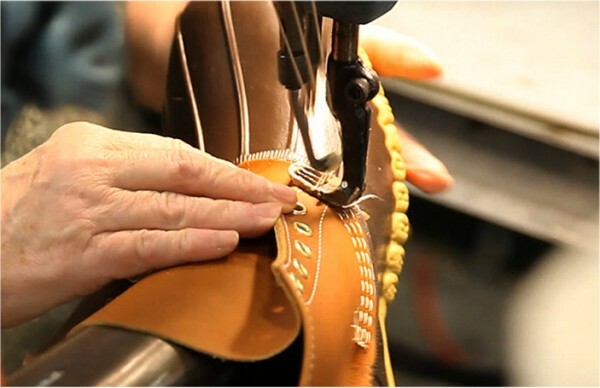 At our own factory in Brunwick, Maine, skilled craftspeople handstitch our legendary L.L.Bean Boots, Boat and Totes and more – just like they've done for generations. We also partner with manufacturers across the country, from New York to North Carolina to the Pacific Northwest, who share our commitment to product quality and to the fair treatment of their workers. As a global brand, we also make quality gear and apparel in partnership with dozens of factories around the world. Our in-house monitoring team coordinates with third-party organizations to ensure our strict standards for working conditions and human rights are met everywhere we do business. In addition to our own work to ensure responsible manufacturing practices, we partner with several leading industry organizations, including the United States Council for International Business and the United Nations-affiliated Better Work program. We are taking a leading role in the Social and Labor Convergence Project, working toward the goal of creating an industry standard for collecting factory social performance data, as well as the Association for Professional Social Compliance Auditors (APSCA), working on a first-of-its-kind training and certification for social compliance auditors.